Here at Vulcan — the umbrella company for a host of signature entities owned by the late Paul Allen — we have a hashtag we like to use: #OnlyAtVulcan. We are a unique organization — and we believe in offering our employees the one-of-a-kind experiences you might expect from a company that’s the brainchild of a Microsoft co-founder. What this means for us in HR is that every time we roll out a new talent initiative or employee program, it has to be high-level, forward-thinking, and different from what other organizations are doing. Our employees must innovate every day as they work to apply data and technology to solve the world’s toughest problems, from protecting endangered species and the world’s coral reefs to tackling homelessness and gun control. Nurturing high performance isn’t a nice-to-have at Vulcan; it’s fundamental to fulfilling the mission and vision of our organization. So how have we created an environment that bolsters the employee experience and drives increased performance? With the help of talent development technology, we have been able to modernize our performance management and goal-setting practices, creating the culture of high performance that is vital to our organization’s long-term success. When I came onboard as the CHRO at Vulcan, one of HR’s first marching orders was to create an #OnlyAtVulcan performance management program. To achieve this, we essentially needed to overhaul our performance accountability, goal management, and compensation processes. And the reason behind this? Transparency. Our employees were asking for better transparency in managing their performance and careers. The tools we had in the past weren’t as transparent as they should have been. Performance reviews were more subjective than objective. It wasn’t a great experience, and it wasn’t Vulcan. We needed to enable Vulcan employees to align performance efforts in a way that contributed to the goals and success of the organization, embrace informal feedback and a culture of continuous learning throughout the year, and lift the mystery surrounding bonuses and merit increases to make compensation decisions understandable, transparent and motivating. With such a tall order to fill, we sought to solve these challenges the Vulcan way: through the use of innovative technology. We began our search for a technology that could help us implement ongoing performance management, support organizational goal alignment, and create a feedback-rich culture. But finding the right solution was no easy task: Vulcan can be a tough customer since our employees are very tech-savvy, with many having spent lengthy careers in the software industry. After a thorough evaluation of potential talent management technologies, we selected a system that met all our needs. We rolled out our new performance management strategy and platform in the fall of 2017. Through the use of talent development technology, we’ve been able to launch an ongoing performance management program that is completely transparent to employees — they know the process and their role in it. They can follow — and contribute to — the history of the learning and development, recognition, coaching and feedback they receive. From a technology perspective, there are a few capabilities we have found particularly valuable in driving more effective performance management. Having the ability to cascade goals — from high-level business goals, through to managers, and then down to line-level employees — has been key to supporting organizational goal alignment and ensuring everyone knows how they contribute to achieving strategic business objectives. Embedded 1:1 meeting and check-in tools have also helped us embrace a proactive feedback culture, giving managers and employees an easy way to stay aligned, engaged and focused on achieving performance outcomes. We still perform annual and mid-year reviews. But with a platform that helps facilitate regular, ongoing dialogue and strengthen manager-employee relationships, there are zero surprises when it comes to formal review time or career progression conversations. With the transparency offered by our talent development platform, employees know where they stand and how the work they do impacts Vulcan’s success. And since rolling out the platform last year, the response has been incredibly positive. In fact, we just completed a survey to see what employees had to say about their first year using the new performance management system, and both engagement and satisfaction levels are very high. Employees know their talent development program and experience isn’t some off-the-shelf program. It’s created just for them, and in alignment with the Vulcan culture. We are also strong believers of connecting learning to performance and delivering learning experiences that move the needle for the business. And if the outcome of learning is meant to be increased performance, then learning efforts need to be focused in a thoughtful way and aligned to what the business actually needs. Research by Brandon Hall Group shows that linking a structured 70/20/10 employee development model to business goals improves performance to a measurable extent 95% of the time. 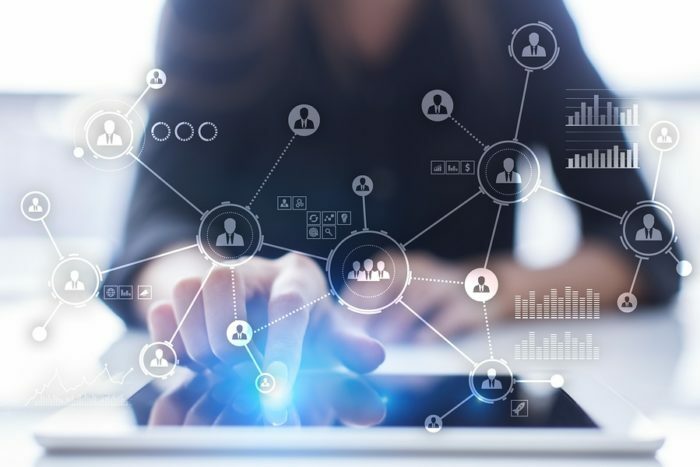 With odds that high, you’d think companies would be doing more to connect learning and performance in the new era of talent management. But many organizations are simply ill-equipped or unprepared to make the shift from “managing performance” to coaching for growth­, and from “learning-in-a-box” to learning experiences that drive business results. Leveraging talent development technology to tie learning to performance and brings skills development into the goal-setting process has been instrumental in creating a high-performance culture here at Vulcan. We can create learning plans that are personalized to exactly what the employee is trying to accomplish, and ensure that learning efforts are aligned to high-level business goals. With an integrated library of learning courses, managers can even assign skill development and learning opportunities that are relevant and personalized right in the moment of need. With a fully integrated talent development platform it all fits together seamlessly, allowing us to create a hyper-connected talent experience that makes learning and development, coaching and feedback a part of our people’s every day experience, so they can deliver their best. Every company says it wants to be a high-performing organization. But for the vast majority, the problem is not that they can’t — it’s simply that they don’t have the right type of environment that actually enables their people and their business to thrive. As we’ve found at Vulcan, implementing a continuous, connected talent development platform that gives people and teams the ability to drive their own development experience, while also keeping them aligned to the performance goals of the business is the secret sauce to creating that one-of-a-kind environment that sets high-performing organizations apart from the rest. As Vulcan's Chief Human Resources Officer, Tim Mulligan leads a team of talented human resources professionals in building and implementing recruiting strategies supporting Vulcan's ambitious and innovative programs, projects and initiatives. Tim is an experienced leader with a deep knowledge of developing, implementing, and improving programs that positively impact employees, operations and organizations. Prior to joining Vulcan, Tim spent 13 years as the chief human resources officer at San Diego Zoo Global, a diverse organization of nearly 3,000 employees spread across various locations worldwide.